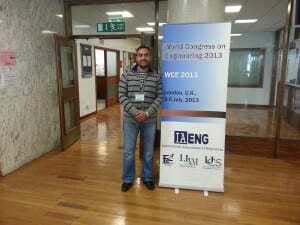 Congratulations to Saddam Bekhet (PhD Researcher) who achieved the “Best Student Paper Award 2013″ for his conference paper entitled “Video Matching Using DC-image and Local Features ” presented earlier in “World Congress on Engineering 2013“ in London . 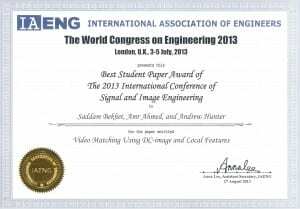 Abstract: This paper presents a suggested framework for video matching based on local features extracted from the DC-image of MPEG compressed videos, without decompression. The relevant arguments and supporting evidences are discussed for developing video similarity techniques that works directly on compressed videos, without decompression, and especially utilising small size images. Two experiments are carried to support the above. The first is comparing between the DC-image and I-frame, in terms of matching performance and the corresponding computation complexity. The second experiment compares between using local features and global features in video matching, especially in the compressed domain and with the small size images. The results confirmed that the use of DC-image, despite its highly reduced size, is promising as it produces at least similar (if not better) matching precision, compared to the full I-frame. Also, using SIFT, as a local feature, outperforms precision of most of the standard global features. On the other hand, its computation complexity is relatively higher, but it is still within the real-time margin. There are also various optimisations that can be done to improve this computation complexity. This is an excellent opportunity to have a taste of studying and living in the UK, in the historic city of Lincoln. • Introduction to Computer Graphics. • Interactive Graphics and Visualisation applications. 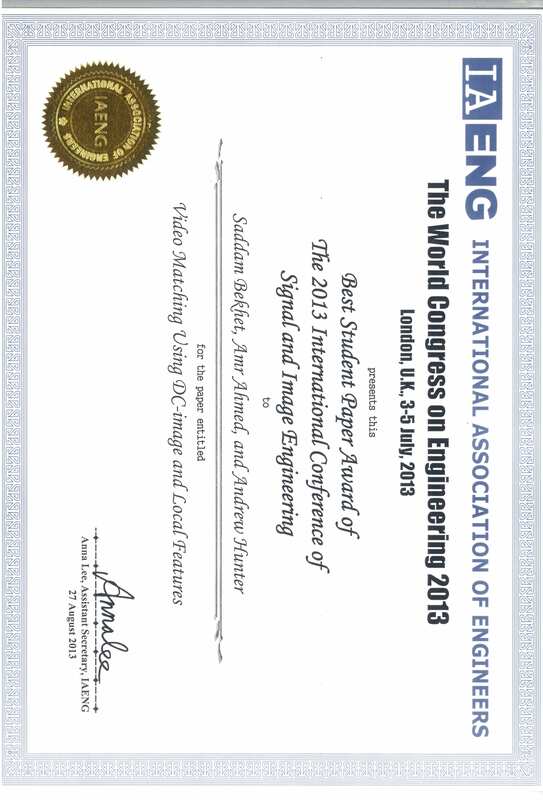 • Introduction to Image Processing/Computer Vision. • Non-conventional Interactions (e.g. WiiMote, Vision-based interaction). The Summer School is designed for students and recent graduates who are interested in computer graphics, computer vision, visualisation, games, and virtual reality. Tutors include research-active academics and researchers with various cultural and international backgrounds. A certificate of attendance will be presented to all those who successfully complete the Summer School. For the best benefits, participants are expected to have a good level of programming (C/C++) and Mathematics. Places will be limited on a first come first serve basis.